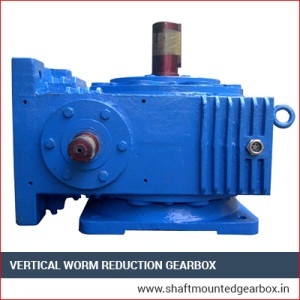 With the support of our well-experienced experts, we are involved in manufacturing Vertical Worm Reduction Gearbox of diverse specifications as per the norms of the industry. These are exactly manufactured as per the designs of our experts by our competent professionals with aid of excellent quality raw material in addition to modern-day technology. They are also quality tested under vital parameters hence offer excellent speed reduction functionality, reliably, efficiently and durably. 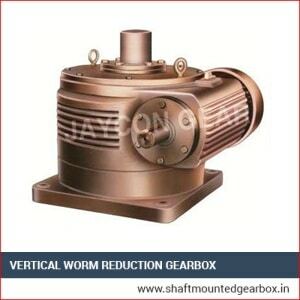 They can be applied in diverse industries, winds turbines, automobiles, rolling mills and construction machineries etc. they are easy to install, offer flawless performance, low noise and require minimal maintenance. 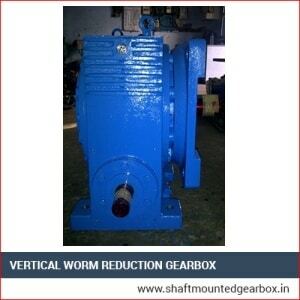 We offer them at industry leading rates.